Audi A3: There’s a lot to love about the Audi A3. It’s quiet inside when driving, has good legroom, and a big boot. What’s more, it’s really agile – and great round corners. The interior is possibly the best in its class. There’s a good range of engines and it’s cheap to run. If you’ve been looking at the CLA, make sure you check the A3 out. 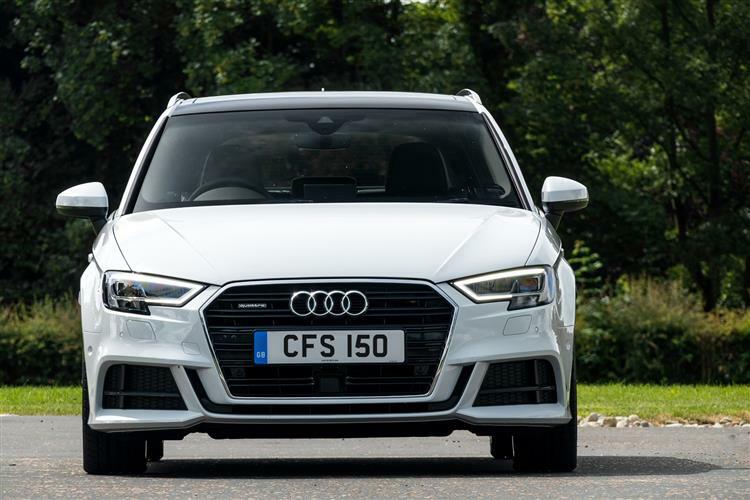 Audi A3 Sportback: If you are in the market for a small family car, the A3 Sportback may be an ideal choice. It’s a handsome car that is stylish inside – and out. As well as being comfy, the car is nice and easy to drive. There is a great range of engines, all with decent fuel economy. Its practical and well built too. Well worth adding to your shortlist. Audi A3 Cabriolet: Let’s get this out of the way, if rear space matters to you, look at one of the other A3’s. Legroom in the back is poor, but in the front there is lots of space. This is a stylish car with a fab cabin. Even more so when the sun is out and you have the roof down. For the price it’s easily one of the best convertibles you can get.